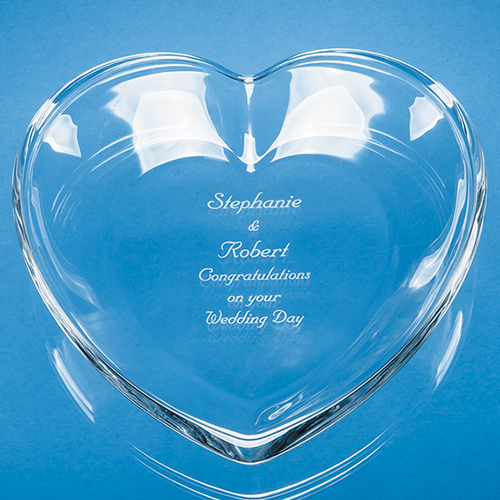 Say I love you with this romantic 20cm heart shaped bowl. Perfect for a Valentines, birthday, wedding or anniversary gift or just to say thank-you to a good friend. There is a generous space in the centre of the bowl to engrave a personal message, inscription, date or name. To make it even more special you can order one of our stunning satin lined presentation boxes.